Kathleen Krier still remembers learning the program BASIC in high school and working on bulky eight-and-a-half-inch floppy disks. When it comes to the technology industry, Krier has been there from the start. Her latest role is as Palo Alto High School’s computer science teacher and robotics adviser. Before Paly, Krier held the same positions at Monta Vista High School. As a result of robotics competitions, Paly was always on Krier’s radar. Krier says she hopes to expand the Paly computer program in the coming years alongside fellow new hire Chris Bell. Krier says her primary role as Paly’s computer science teacher is to get students interested in the computer science program. “If I can get students interested in taking maybe another class in computer science or if they have a really good time with what they experience, I think I’ve done my job,” Krier says. In advising robotics, however, Krier’s first priority is safety. “We make sure that we have a safe environment for everybody to use tools, and for students to interact in a fair and respectful way,” Krier says. Krier has been involved with technology and computer science for many years and recalls the increasing popularity of the Internet catalyzing the growth of digital technology. Since then, her position as a computer science teacher has opened up various new avenues for Krier. She gained exposure to the field of robotics as a result of teaching. This interest is what led to Krier avising high school robotics teams. 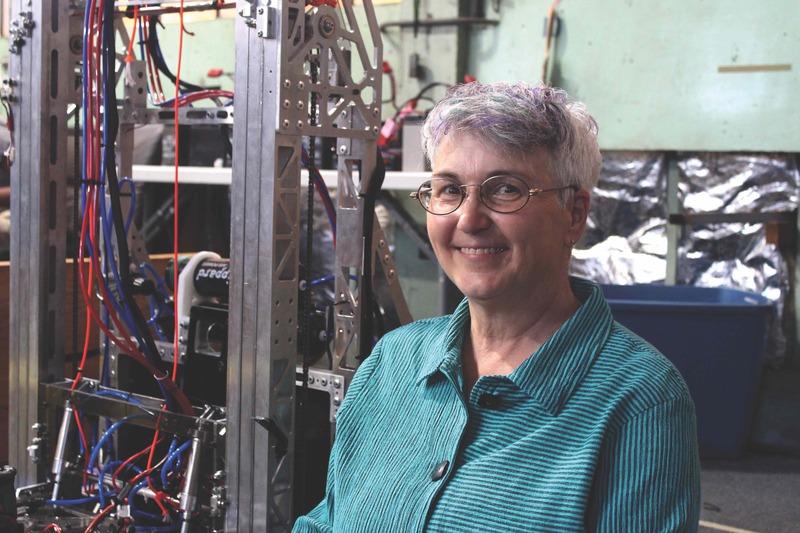 At Paly, Krier says she hopes to use her unique position as a woman in a male-dominated STEM field to spread the joys of robotics to people of all walks of life. Fittingly, Krier has witnessed the field of robotics grow tremendously, and expects this trend to continue. “I’m thoroughly convinced that it [robotics] is going to be the career of the future for many, many people,” Krier says.